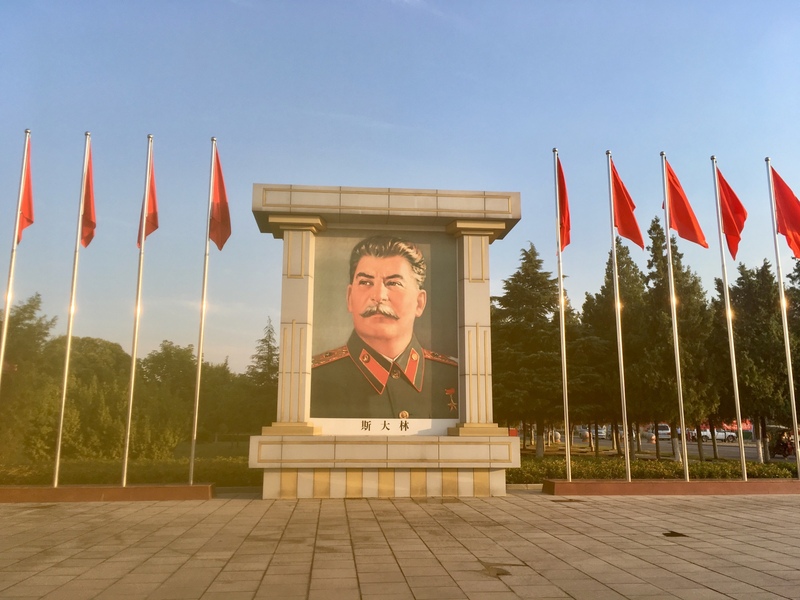 Join YPT for a week of Maoist adventure, combined with 5 days of touring North Korea on a tour themed around the relationship between China and North Korea. We’ll be joining a local Communist Party cadre for a discussion group about Maoism and politics in China today, as well as having a discussion group with a North Korean cadre where we can learn more about Korean communism and Juche ideology. This tour is suitable for the first time North Korea visitor, and the political geek alike! This tour is led by YPT’s China Tours Manager, fluent in Chinese and an expert on Maoist history! Our time in the commune is sandwiched between a trip to Mao’s birthplace Shaoshan, where we can see ‘red tourism’ in action and get a feel for how modern Chinese people still revere their Chairman – and a day in Beijing, where we visit Mao’s mausoleum in Tiananmen Square, the Museum of the Revolution which tells the story of Mao’s journey from Shaoshan to Beijing, and the Military Museum which concentrates on the ‘War to Resist the US and Aid Korea’. During our DPRK visit, we’ll drive out of the capital to the grave of Chairman Mao’s own son, Mao Anying, who was killed by a UN napalm attack, reportedly while he was cooking fried rice for his lunch. In Pyongyang, we’ll visit the must-see sights and have an in-depth look in the Korean War Museum, visiting the exhibition on Chinese involvement in the Korean War against the UN and US forces. This section of the Museum is usually out of bounds for anyone but Chinese tourists so gaining access to this is certainly a unique highlight. And no trip to the DPRK is complete without a visit to the DMZ, where North meets South! Meet your guide at 10:00am at the McDonald’s opposite the main entrance to Beijing West Station to collect your tickets and have a brief introduction to what to expect on the tour. Take the high-speed train from Beijing West Station to Chairman Mao’s hometown of Shaoshan in Hunan province (11:43-19:10). In the morning, we begin to really explore the main parts of Shaoshan, visiting Chairman Mao’s ancestral home which is usually busy with Chinese ‘red tourists’ dressing up in Red Army uniforms paying their respects to the Chairman. Walking tour of Shaoshan including the central Mao Zedong Square with his statue, Nan’an School where Mao started his education, the Mao Zedong Memorial Museum and the Relic Hall of Mao Zedong, filled with personal artefacts and pictures from his early years. Local Hunanese dinner, including Mao’s favourite dish of hong shao rou, braised pork. After breakfast we head out of town to explore the Hunan countryside. Lunch of Changsha Rice Noodles. Take the high-speed rail to Luohe city in Henan province (14:10-17:49). On arrival we check into our hotel in Luohe city centre. This is a small city, almost never visited by foreigners, showing a side of urban China far away from the cities most travellers see. Our first stop is the Museum of Nanjiecun, which explains its rise from a People’s Commune in the Mao Era, through a brief experiment with decollectivisation in the early 1980s before recollectivising as it remains today. This great little museum explains the importance of collective society in Nanjiecun and the success they had in combining industrialization and agriculture to rise to fame all throughout China. Drive out to the edge of the collective where there is a very impressive botanical gardens, but also a ‘Walk through Chinese revolutionary history’ which has models of Mao’s birthplace in Shaoshan, the site of the Zunyi conference, the Zaoyuan cave house and Baota pagoda in Yan’an and the Xibaipo reovolutionary site. This site attracts school groups from all around the province and beyond to learn about China’s communist history. In the late afternoon, we will wander around the East is Red Square, where the statue of Chairman Mao stands under a rainbow in the middle of huge portraits of Marx, Engels, Lenin and Stalin, one of the only places in China where we can see the open veneration of Mao’s Marxist-Leninist roots. 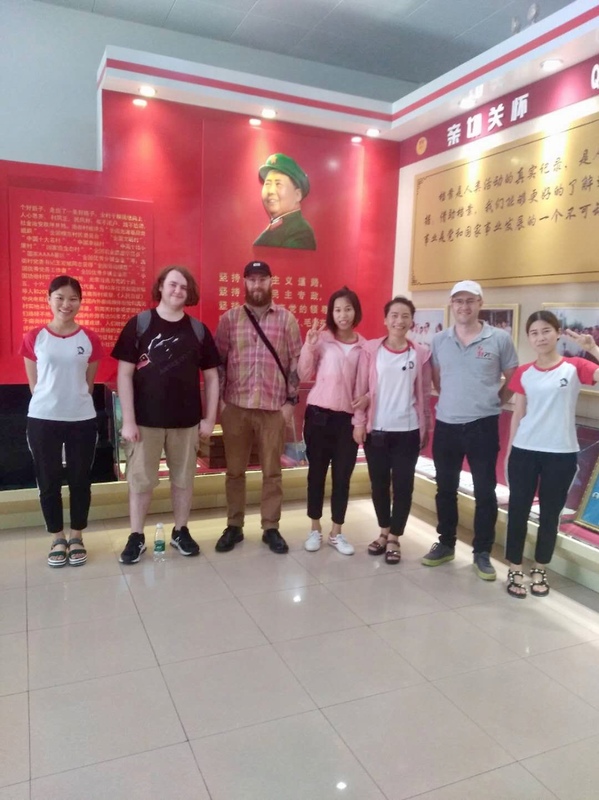 TRIP HIGHLIGHT – we meet up with a local Communist Party cadre for a discussion about Nanjiecun and Maoism in history and China today, with the opportunity to ask as many questions as we can! Post-discussion dinner and drinks, overnight in Nanjiecun. 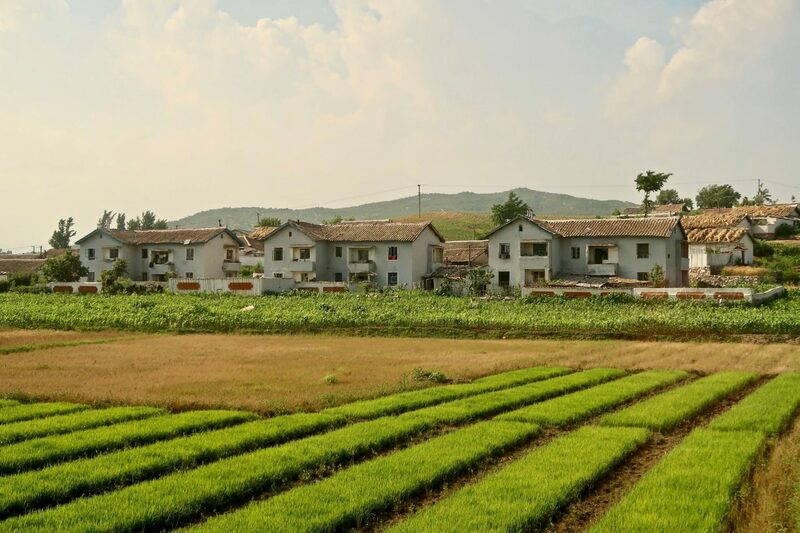 Look around the Nanjiecun fields and collective agricultural works. The local guide will show us the irrigation, mechanisation and collective agricultural projects that have been promoted to the extent that Nanjiecun today is a model industrial village. Learn about how the farmer’s life in a collective is different to the family plots in other parts of China. Visit a local person’s flat. All housing is provided for free, including furniture and all utility bills, to local residents, and complete with a portrait of Mao that hangs in the lounge. Here we can chat with the local resident about what life in the collective is like. Visit the noodle factory, famed throughout China and a good example of an industrial project which was given the capital and support to become a national brand, take some noodles away with you for lunch or save them for the train! Transfer back to Luohe for the high-speed rail to Beijing at 11:53. Lunch of Nanjiecun noodles on the train! Our journey in China nears its end with a visit Mao’s final resting place, his mausoleum in the centre of Tiananmen Square. Catch the Beijing metro over to the Military Museum. Here we get a closer look at the Chinese point of view of the Korean War – the War to Resist America and Defend Korea. From the captured UN military equipment to Mao’s own personal sacrifices in the war, in which his son Mao Anying was killed. End of the China leg of our tour. Free evening and overnight in Beijing before meeting the next day to begin trip into the DPRK. Meet your YPT guide at 1:30pm at the Beijing Zhong Gu Hotel near Beijing Railway Station found here. During this meeting, we’ll go through the tour’s itinerary, receive DPRK visas and tickets, as well as a great chance to meet your fellow travellers and to discuss any other questions you may have about the DPRK. Koryo Museum- Korea’s first university and now a museum of history and culture. 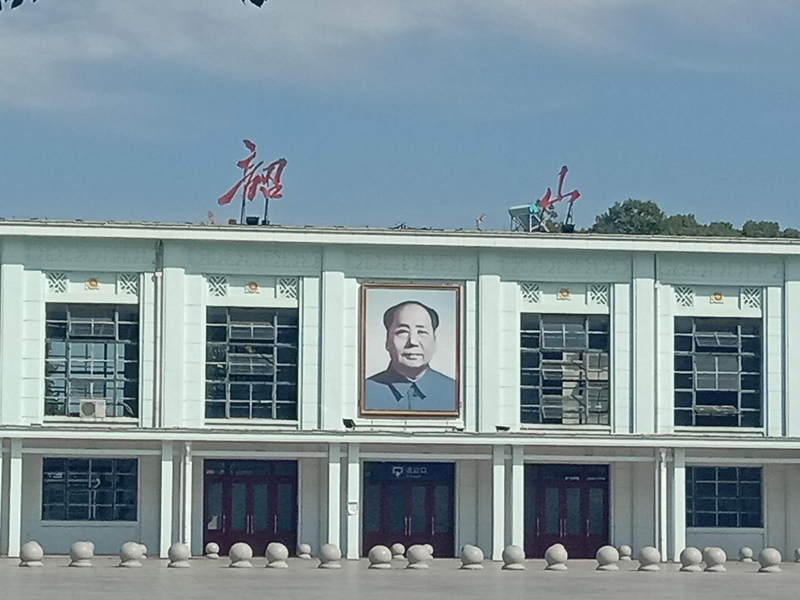 Also home of the best stamp and propaganda poster shop in the DPRK, so don’t forget your wallet! 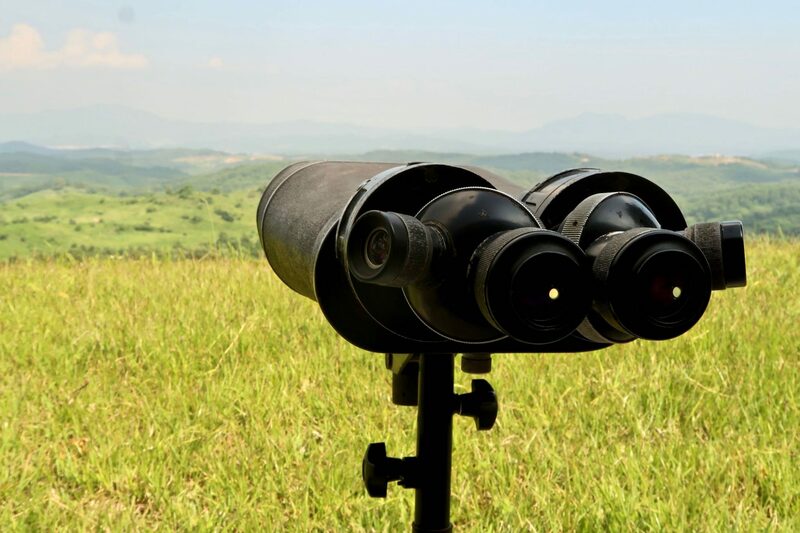 The DMZ- See one of the tensest places on earth complete with a friendly KPA officer who will not only give you a guided tour but also keep you safe. Also the only place you can take photographs of and even with a soldier! Lunch at the Thongil Restaurant in Kaesong City- try your hand at traditional Korean Pansangi- a series of dishes served in bronze bowls. (Optional extras- Dog soup 5 euro, Ginseng Stuffed Whole Chicken 30 euro- can be split between several). The concrete wall of the DMZ – this is a little off the beaten track and gives us a great glimpse at the wall which was erected b the South Koreans during the 70’s. 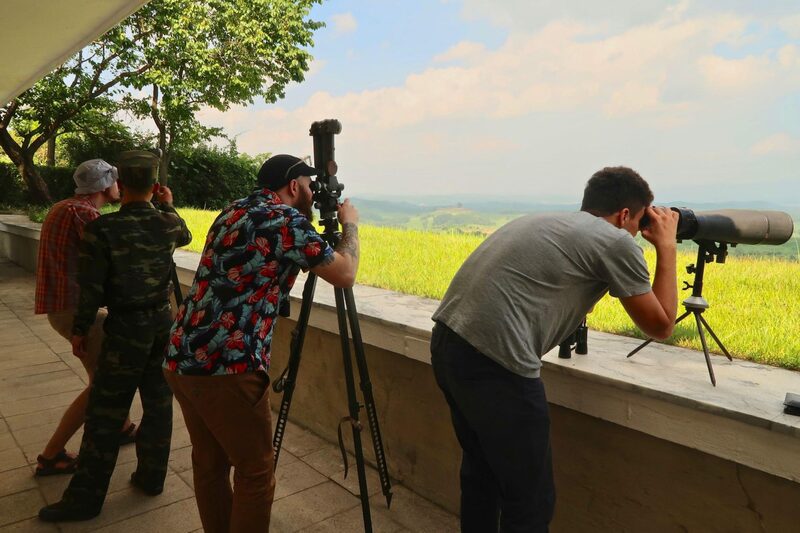 We can even see South Korean watch towers along the hill from the DPRK post. Drive back to Pyongyang stopping in Sariwon to see the folklore park and enjoy Makkoli in a local bar if you wish. Photo opportunity of the Monument to the Three Charters of National Reunification, standing over the Thongil Highway. Stop by Taedonggang Brewery #3 for micro brewed beers, juices or coffee! Visit the recently renovated Korean War Museum, concentrating on the exhibition on China’s role in the war which is not usually shown to anyone but Chinese tour groups – let the expert local military guide show you around the enormous museum featuring dioramas, locally used weapons, tanks etc, and captured American equipment! 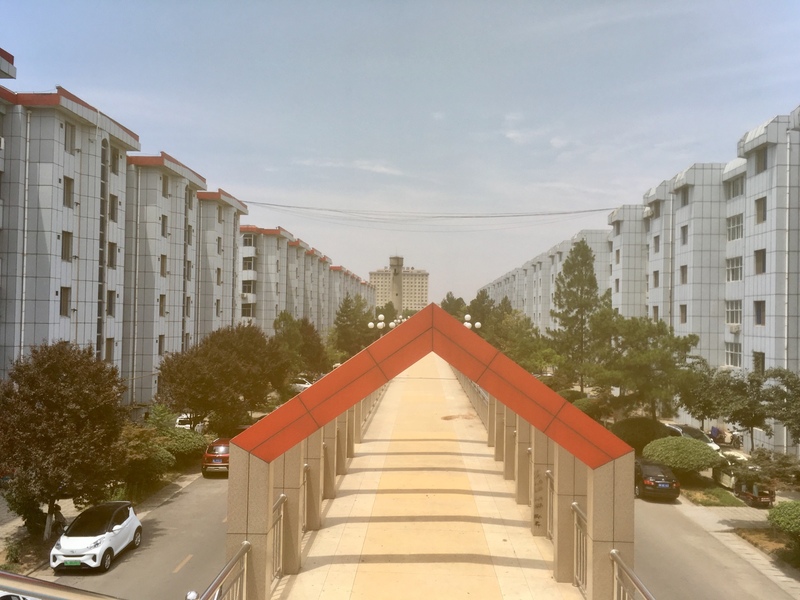 TRIP HIGHLIGHT – Head back to the hotel where we join a discussion group with a local party cadre, who will tell us about politics and ideology in the DPRK and where we have the chance to ask questions and discuss the Juche idea. Hopefully the discussion will continue over beer and soju in the hotel bar! Arrive at the Cemetery for Fallen Chinese Soldiers in the Korean War. 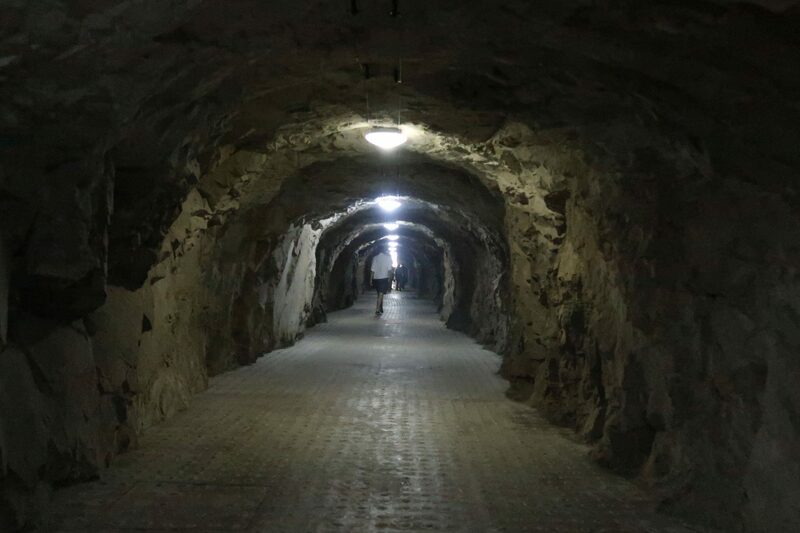 Hundreds of Chinese People’s Volunteer Army soldiers were buried here and it is a sight for top-level Chinese delegations to come and pay their respects. Visit Kaeson Youth Park (entry 2 euros, rides 3 to 5 euros extra each depending on how awesome they are). 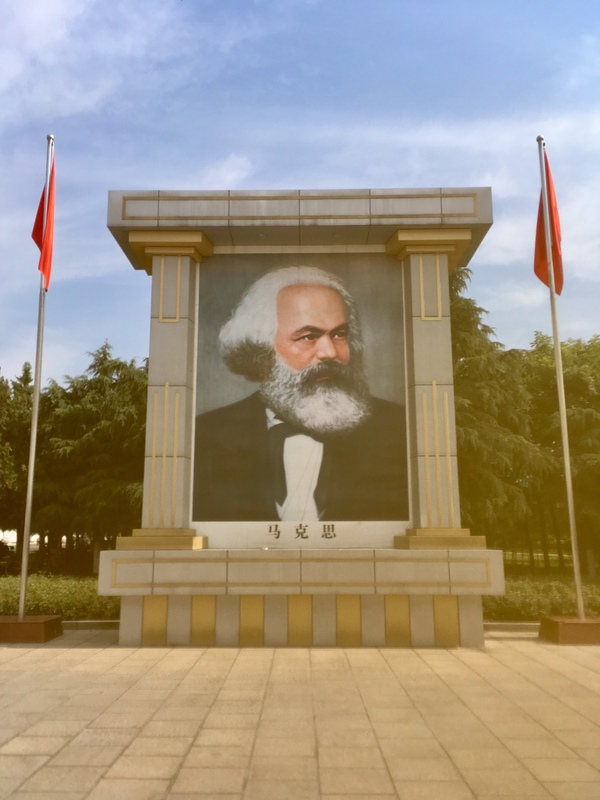 Hang out in the last remaining people’s commune in China, chat with locals and the leaders and see the huge portraits of Marx, Engels, Lenin, Stalin and Mao in the main square. Private discussion group with a local party cadre about politics and ideology in the DPRK. 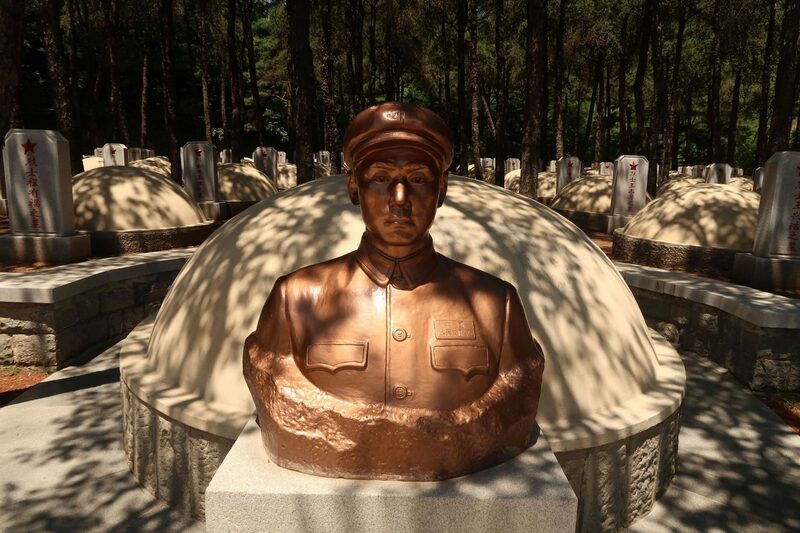 Visit the rural Hoechang county where the Chinese military cemetery and the grave of Mao Anying are located. • Twin share accommodation (single supplements are available for an extra 40 EUR per night). • Train in and out Beijing-Pyongyang-Beijing. Flights are extra. • All meals in the DPRK unless specified in the itinerary. • Air-conditioned bus and driver.